The prospect of consuming your own placenta might raise a few eyebrows or be guffawed at as cannibalism but placentas have been praised for their medicinal properties for centuries. More recently placenta encapsulation and consuming it as a daily supplement has been praised for its power to ward off postnatal depression, increase energy levels and boost milk supply. For a growing number of new mums, including celebrities January Jones, Alicia Silverstone and the Kardashian clan, the placenta has become a crucial element in the postnatal medicine cabinet as part of a rapidly growing trend of having your placenta encapsulated into tasteless easy-to-pop pills. Although far from a new concept, placentophagia, or consumption of the placenta, has been used traditionally for thousands of years for its array of positive postnatal effects. 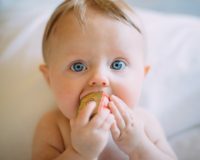 The anecdotal evidence suggests that consumption of the placenta helps make the mental and physical adjustments to motherhood smoother, believed to be resulting from the rich source of nutrients, hormones and other biochemical substances housed within the organ that once supported and nurtured your growing baby. "The internet abounds with recipes for placenta lasagne or smoothies, placenta tonics and balms and plenty of art and craft." People do a lot with placentas these days. The internet abounds with recipes for placenta lasagne or smoothies, placenta tonics and balms and plenty of art and craft. Once sidelined into the quirky category, the business of placenta encapsulation is now booming. 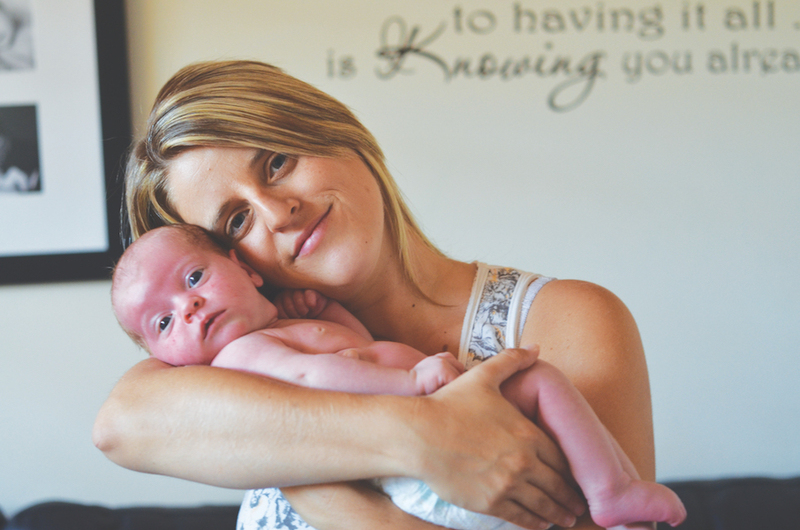 Doula, antenatal educator, placenta encapsulator and owner of Traditional Wisdom based in the Northern Rivers area of New South Wales Kirrah Holborn says two years ago she would encapsulate 30 placentas a year, this year in January alone she met the demand of 10 clients and close to 100 for the year. “There has certainly been an increase in popularity, perhaps because celebrities are starting to do it, so it is becoming trendy. But I definitely believe word-of-mouth from mother’s who have first hand experienced the improved hormonal balance, energy levels and milk production after child birth are starting a wave of interest and slowly removing the taboo that was previously associated with it,” she says. Just remember like any natural medicine each body and each placenta is different and dosage requirements may vary. Some bodies may not need the supplements found in the placenta. If you experience negative side effects, consult your practitioner. Why would anyone want to eat their placenta? There is no medical evidence to support or disprove the health benefits of placenta consumption. Since every woman’s placenta, body and environment is unique, the results remain anecdotal. 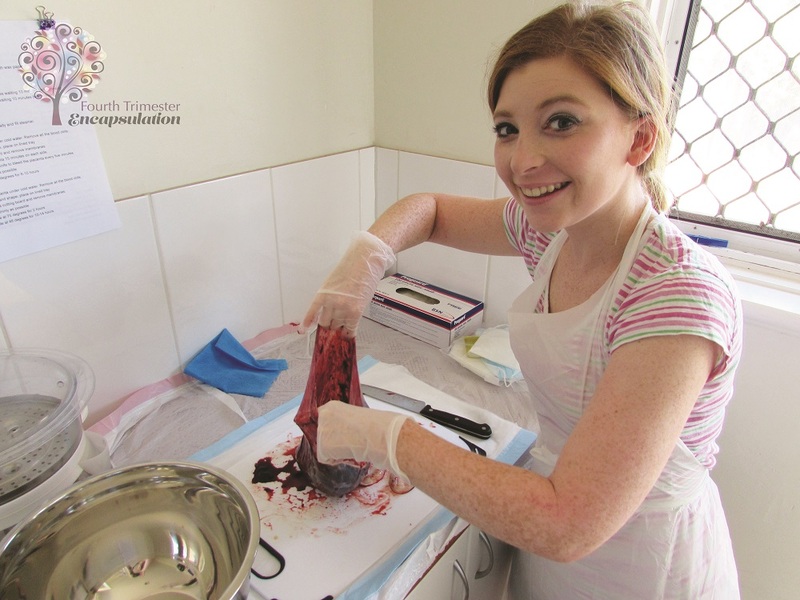 “We know there’s no current research but specialists around the world are excitedly awaiting the results of scientific studies being undertaken right now” says Kirrah, who just received news of a lifetime membership with the Association of Placenta Preparations Arts. The belief is that consuming the placenta in any form can help new mothers maintain their hormone and iron levels in the few weeks after the birth, which can speed up healing, help curb fatigue, increase milk supply and reduce anxiety. "The biggest draw card for most clients is the reported energy boost that can come with consuming placenta, a bonus for any new mum." The biggest draw card for most clients is the reported energy boost that can come with consuming placenta, a bonus for any new mum. Since fatigue can be a trigger for postnatal depression (PND), many clients, especially mums who suffered PND in the past feel it is a proactive approach to limiting postnatal depressive symptoms. This is not to suggest that placenta consumption is a cure or treatment for established mental health problems or should it replace any medically-prescribed treatment but it may be one tool in helping to minimise the risk. “There have been some studies in the past which have anecdotally shown improvement in milk production after treatment with placenta, whether in raw form or encapsulated in pill form,” Kirrah says. "Once the placenta is delivered, your body's supply is cut off, but all the hormones and nutrients remain in the placenta, which is often discarded." 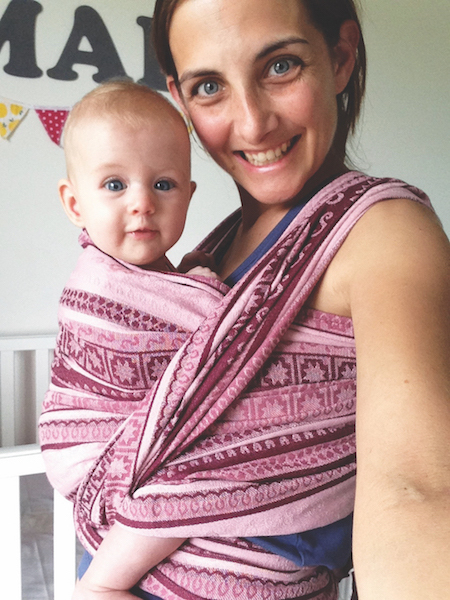 Kirrah says personal experience has demonstrated mums undergoing caesareans are typically at risk of low milk supply but those consuming encapsulated placentas have been able to avoid this difficulty and also experience an increased rate of healing from the surgery. There are two key methods for encapsulating a placenta, the Traditional Chinese Medicine (TCM) and the Raw Method. The key difference is to forgo the steaming process in the Raw method resulting in a shelf life of 12 months. 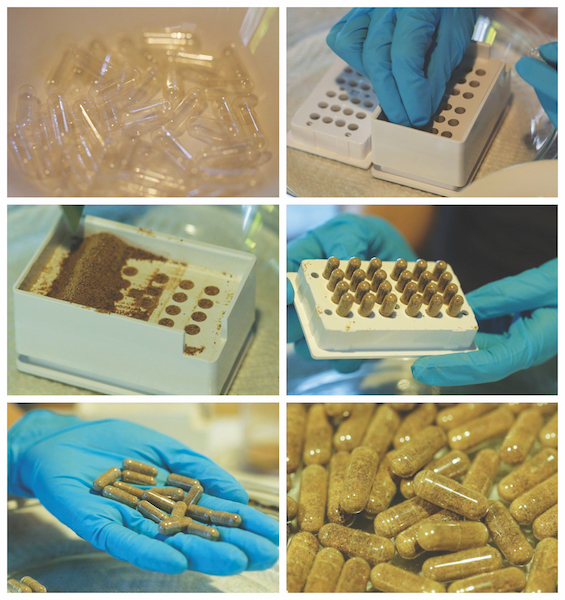 The TCM method sees the placenta steamed, slowly dehydrated, ground to a powder and then placed into capsules. The capsules look like any other herbal capsule from a chemist. They have little smell or taste. The average placenta yields about 160 capsules. 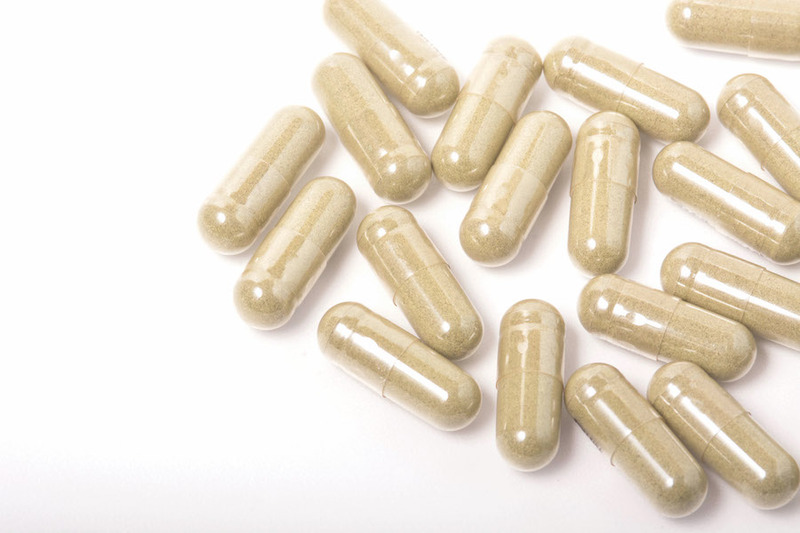 The average cost of placenta encapsulation is $250-350. Many practitioners offer collection and delivery along with placenta prints and cord keepsakes. Can any placenta be encapsulated? Cayla explains that most placentas from straight forward pregnancies and births are suitable for encapsulation and even those resulting from slightly more difficult antenatal periods or the birth of multiples are still viable. “I have encapsulated placentas from women who have had inductions, epidurals and caesareans. Even those who experienced meconium or StrepB can still be encapsulated with some extra care,” she explains. “For those babies born prematurely, depending on the level of prematurity, the placenta can still be used although the amount of capsules will be less than a full term baby. Mums of premature babies often need extra support for their breast milk to come in and balancing their postpartum emotions so even if your doctor wants to culture the placenta, you can try to negotiate to have just a piece of the placenta taken to pathology so you can encapsulate the rest. Women are encouraged to discuss their wishes of encapsulation with their chosen hospital and care givers prior to the birth to understand the policies and procedures and to ensure appropriate care and handling of the organ after birth. Are there regulations and qualifications? 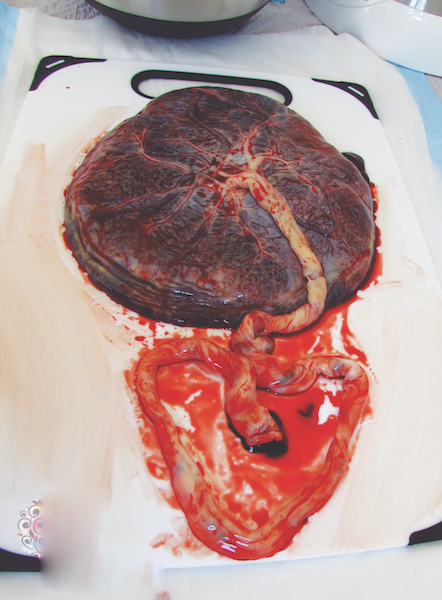 Understandably there are questions and uncertainty about the safety, governance and qualifications surrounding placenta encapsulation as there are no current regulations. So choose your practitioner wisely. Most often placenta practitioners are also a doula, midwife or operate in some form with pregnant and birthing mums. A good practitioner should have undertaken a specialist training course and follow the standards in blood-borne pathogen control and safe food handling with high quality equipment and strict sanitisation. “Although I embraced the concept of natural birth, I was slightly sceptical about trying placenta encapsulation and my family found the idea quite squeamish. But after researching the benefits and knowing that I would need all the help I could get after the birth of our third child with my husband leaving to work overseas 12 days later, I thought it couldn’t hurt to try. Is it just a passing trend? While the jury is still out if there are any scientifically measurable benefits from consuming encapsulated placenta and some claim it is only a passing trend, there are many convinced this practice will only continue to grow as practitioners report increased first time mums and private sector patients calling for the service. Midwives and antenatal classes are also beginning to educate clients about the services empowering others to take a proactive approach to their postnatal recovery. And although there maybe some DIY placenta encapsulation kits on the market, it is a job best left to the professionals.